AAI hospital needs assessments will inform future drug and technology access agreements and training programs. SEATTLE--(BUSINESS WIRE)--Nigeria has stepped up its fight against cancer with the launch of its National Cancer Control Plan 2018-2022. 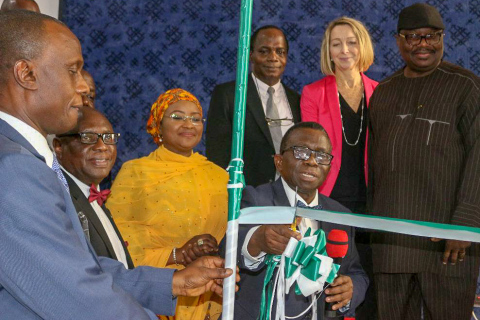 During the inaugural event, BVGH presented AAI and its alliance with the Nigerian government to address the rapidly rising burden of cancer in the country. AAI—led by BVGH in partnership with the African Organization for Research and Training in Cancer (AORTIC); the International Federation of Pharmaceutical Manufacturers & Associations (IFPMA)/Access Accelerated; Pfizer, Inc.; and Takeda Pharmaceutical Co., Ltd.—focuses on expanding access to cancer medicines and technologies, improving healthcare infrastructure, and building clinical and research capacity in Africa, where cancer now claims more lives than malaria. In its first phase, AAI is working with the governments of Nigeria and four other African countries (Cameroon, Côte d’Ivoire, Kenya, and Rwanda) that have made cancer control a national priority. For additional media coverage of the NCCP launch and AAI activities in Nigeria, please visit This Day, Federal Ministry of Health Nigeria, and Health News Nigeria. BIO Ventures for Global Health (BVGH) is a non-profit organization working at the crossroads of the private and public sectors to advance research and improve health. BVGH connects people, resources, and ideas across biotechnology and pharmaceutical companies, governments, and non-profits to solve global health issues. For more information about BVGH, please visit http://www.bvgh.org.